Sensing column possibilities, I attended last week’s Chino Hills City Council candidate forum. I was amply rewarded, as you’ll see in Sunday’s column. Catching up on some news from my vacation, I write about the newly appointed councilman in Chino Hills, as well as about the sendoff (in a dinner with a travel theme) for his predecessor, in Friday’s column. Chino Hills has a vacancy on its City Council after Ed Graham’s resignation. Graham sent his former colleagues a funny text message just as the meeting was starting. I have more about that and the vacancy, as well as a Gold Line meeting schedule, three Culture Corner items and more in Sunday’s column. The first Chino Hills Jazz and Blues Festival takes place April 22. Headliner Barbara Morrison is a noted L.A. jazz singer who’s already performed in Chino Hills once before — or twice, really. I explain, as well as offering up a Pomona mention in the New Yorker, an update on my film series, a couple of Culture Corner items and more, all in Sunday’s column. Just as in Chino, Rancho Cucamonga and Upland, Chino Hills is moving toward district elections for City Council after a legal threat under the California Voting Rights Act. I attended Tuesday’s council meeting to hear more and see the various proposals for maps. My report makes up Friday’s column. 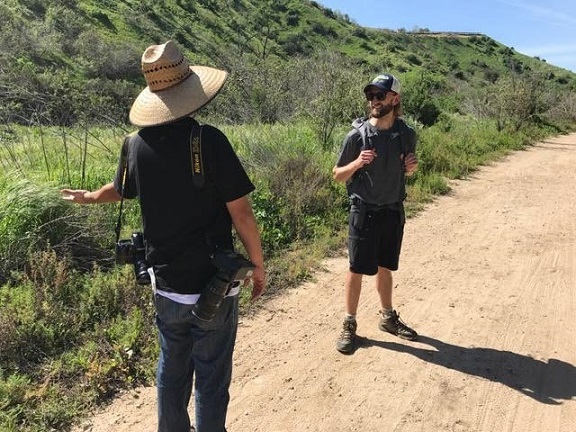 I invited Casey Schreiner, founder of the website Modern Hiker and author of the new “Day Hiking: Los Angeles,” out for a hike at Chino Hills State Park. The result is Wednesday’s extra-long column. 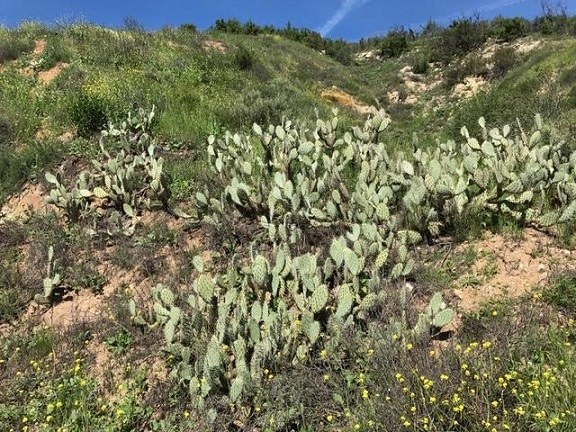 Above, Schreiner talks to photographer John Valenzuela; below, a stand of prickly pear plants. Column: Will it rain on the Boat Parade? Friday’s column is made up entirely of Chino Hills news: a preview of the Boat Parade, a report from a council meeting and a bunch more items from around the city. 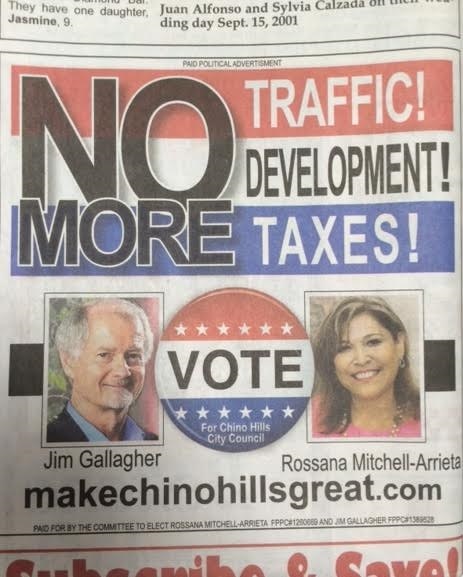 This ad in the Chino Champion (Sept. 17 issue) for two Chino Hills City Council challengers makes a slightly different point if you read, as I did, left to right rather than top to bottom. Rarely do candidates seem so enthusiastic on that topic.